Three students are selected for a scavenger hunt competition that will take them all around Chicago? Yes, I love it! As they get deeper into the contest, they realize it may be something beyond the innocent scholarship program they were told about? Oh, yes, I love it even more! As you know, I’m a huge fan of puzzle books like Book Scavenger, Walls Within Walls, The Gollywhopper Games, and Escape from Mr. Lemoncello’s Library. Now we can add The Ambrose Deception to the list. Melissa is underestimated and misunderstood, so she generally keeps to herself. But the scholarship competition is a way to prove herself to all the doubters. Bondi, on the other hand, is full of confidence — maybe too much, according to his teachers. And Wilf, well, he’s no scholar. So he’s determined to make the most of the free perks that go along with the competition until he gets kicked out. I enjoyed moving between the points of view of these distinct characters, seeing the contrasting ways they approached their challenges — and then seeing them react to the realization that they are being used in a competition, but not the one they agreed to participate in. If you’re a fan of any of the puzzle books I mentioned above, then this book should be on your to-read list for sure. And if you have any other puzzle books to recommend, leave a comment below! The last time Karen went to Chicago, she didn’t participate in a puzzle competition. But she did a food crawl, and that’s kind of like a scavenger hunt for snacks, right? The town of Carousel has a secret. A deep, dark, below-the-ground secret. The kind that hurtles through tunnels with the force of a hurricane, sinking houses and shops and playgrounds. Only two kids know what’s going on. And only they can save the town. They are the Lifters. But guess what — despite my misconceptions about what the story would be, I still really enjoyed this book. But I do wish I had known what to expect, so that’s why I’m starting my review with this warning. Gran (short for Granite) and his family move to the small town of Carousel because his father is looking for work. Unfortunately, there’s not a lot of opportunity waiting for him, and the family soon finds itself fractured: Gran’s dad is on the road all the time, cobbling together a living. Gran’s mother is disappointed and gets angrier and angrier. And Gran has no friends at school; in fact, no one even really notices him. Well, one person does: Catalina. And when Gran realizes she disappears every day for hours at a time, that’s when his life in Carousel starts to get interesting. Soon, Gran finds himself ditching school, sneaking out of the house at night, and stealing/borrowing stuff in order to help Catalina — as she literally goes underground to help the whole town avoid danger. 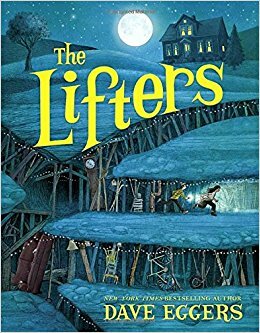 If you’re a fan of stories grounded in reality but with fantastical elements, then I think you’ll like The Lifters. In particular, I would recommend this book to readers who enjoyed the Willow Falls books by Wendy Mass, A Snicker of Magic by Natalie Lloyd, and A Tangle of Knots by Lisa Graff. What would you expect to find under the town or city where you live? Leave a comment with your answer! In Mabel Opal Pear and the Rules for Spying by Amanda Hosch, Mabel finds herself in the middle of a mystery when her parents are called out of town, her Aunt Gertie gets thrown in jail, and her estranged Uncle Frank and his family move into the house claiming that Mabel’s parents asked them to take care of her. It’s a good thing Mabel’s been studying up to be a spy herself because it quickly becomes clear that her uncle is looking for something in the house — meanwhile, her cousin seems to be playing both her parents and Mabel. 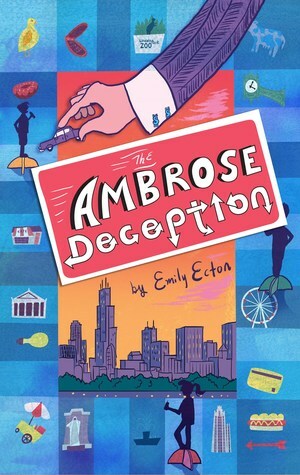 Who can Mabel trust as she tries to get to the bottom of her uncle’s motives and her parents’ disappearance, not to mention saving Aunt Gertie from jail?! I thoroughly enjoyed this book, not just because I love a good mystery, but also because of the fun setting: a small town at the foot of Mt. Rainier in the Pacific Northwest, where Mabel’s parents run a spoon museum (yes, a spoon museum!) when they’re not off doing their spy thing. So I’d highly recommend this book to other fans of mysteries, especially if you’re a sucker for mysteries with eccentric characters in quirky towns. For example, you’ll love Mabel Opal Pear if you enjoyed Three Times Lucky, Last in a Long Line of Rebels, and any of Carl Hiassen’s books (like Hoot and Chomp). 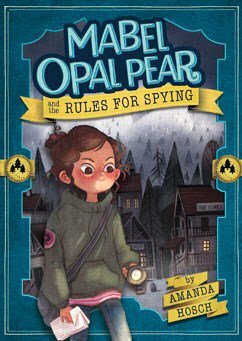 Since the title of the book is Mabel Opal Pear and the Rules for Spying, I can only hope we’ll be seeing other Mabel Opal Pear and… books in the future. I’d love to see what Mabel gets up to the next time her parents leave town! Have you read this book, or do you have other mysteries to recommend? Leave a comment below! While Karen would love to visit a spoon museum, she’d be even more excited about going to a museum for food you eat with a spoon — like an ice cream museum or a soup museum! This Haitian proverb is the inspiration for the title of Behind the Mountains by Edwidge Danticat. It’s obviously a description of the landscape in Haiti. But at the end of the book, the main character, Celiane, reflects on how this saying has applied in a deeper way to her own life, with its many ups and downs. And as I read the final lines of the story, my heart was filled with all of the sadness, hope, and relief of Celiane’s journey — even though her life is so different from mine. Just like me, Celiane moves to New York City from somewhere else. But unlike me, Celiane is coming from Haiti — a country I’ve never visited. That’s one of the things I enjoyed about reading Behind the Mountains; I got a chance to learn about life in Haiti through Celiane’s story. Celiane lives with her mother and brother in the countryside, but her father is working in America, saving money and putting in his time until everyone can live in the U.S. together. In the meantime, Celiane studies hard at school, spends time with her boy-crazy best friend, helps her mom make and sell candies at the market, and goes to visit her aunt in the big city. It’s during this trip that Celiane has the most harrowing experience of her life and awakens to the volatile political situation in the country. Unfortunately, Celiane’s problems don’t end when she gets to the United States. But now she faces a different set of challenges — learning now to navigate at her new school, in her new neighborhood, and within hew newly reunited family. I would recommend this book to anyone who is interested in learning more about life in Haiti — getting a window into another country, while also getting to know a character you’ll identify with despite your different backgrounds. 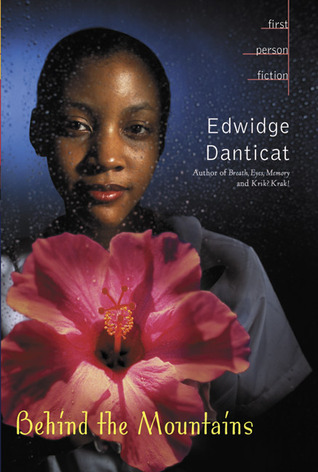 Have you read any other books about Haiti, or any other books about characters who immigrate to the U.S.? Leave a comment and share your recommendations! Karen grew up in San Francisco. Even though it’s not nearly as warm there as it is in Haiti, Karen also had to acquire a winter coat and boots for her move to the East Coast — just like Celiane. And similarly, Karen was fascinated when she experienced her first snowfall! I am looking for a good book but it takes to long to find one . I like sports realistic fiction and short stories do you know a good book for me. Thanks for sending your question, Daniel! To get in the mood for this year’s match-up between the Patriots and the Eagles, look no further than this list of Books for the Super Bowl. For other sports, check out this Super Sports booklist, with stories involving hockey, baseball, swimming, and more. When I think of sports novels, two authors jump to mind right away: Mike Lupica and Tim Green. Kidsmomo readers like you have shared reviews for several of Lupica and Green’s books (such as Rivals, The Underdogs, and Heat), so see what they have to say! Until recently, I would have said that sports realistic fiction = novels. But author Kwame Alexander proves that sports realistic fiction = poetry too! Check out Kidsmomo reader reviews for his two sports books in verse: The Crossover (about basketball) and Booked (about soccer). 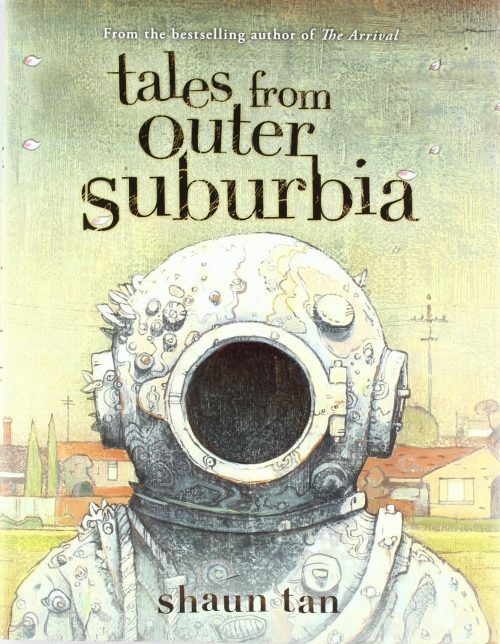 Tales from Outer Suburbia is an anthology of 15 very short illustrated stories. 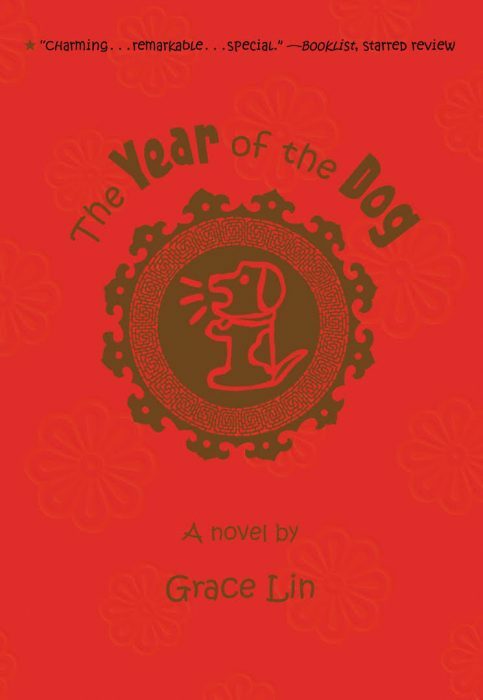 Each one is about a strange situation or event that occurs in an otherwise familiar suburban world; a visit from a nut-sized foreign exchange student, a sea creature on someone’s front lawn, a new room discovered in a family home, a sinister machine installed in a park, a wise buffalo that lives in a vacant lot. There’d been a terrible mistake. Wayside School was built with 30 classrooms one on top of the other instead of next to each other! (The builder said he was very sorry.) 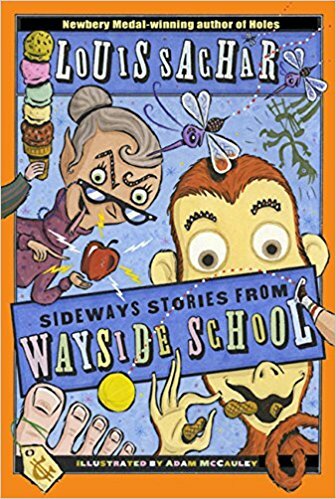 That may be why all kinds of funny things happen at Wayside School… especially on the 13th floor. You’ll meet Mrs. Gorf, the meanest teacher of all; terrible Todd, who always gets sent home early; and John, who can read only upside down — along with all the other kids in the crazy mix-up school that came out sideways. Check out any or all of the Guys Read Library of Great Reading short story collections: Funny Business, True Stories, The Sports Pages, Other Worlds, Thriller, Terrifying Tales, Heroes and Villains. Walking corpses, dancing bones, knife-wielding madmen, and narrow escapes from death — they’re all here in this chilling collection of ghost stories. Make sure you read these books with the light ON! [Note from Kidsmomo: This book is recommended for ages 12 and up.] Thirteen. It’s an age of wonder… or dread. The best year of your life… or maybe the worst ever. You’ve just become an official teenager, even though you’re not quite sure you feel like one, but you’re no longer a kid, either. Here, from 14 different points of view, are stories about that wonderful, terrible time. The big bar mitzvah that goes suddenly, wildly, hilariously out of control. A first kiss — and a realization about one’s sexual orientation. A crush on a girl that ends up putting the boy who likes her in the hospital. A pair of sneakers that a kid has to have, no matter what. 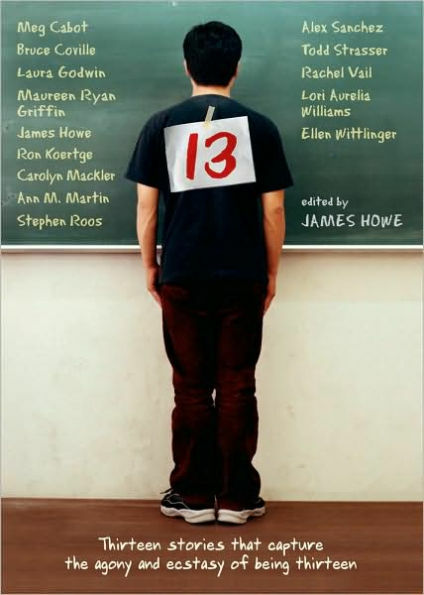 Written by some of today’s finest writers for young adults, these stories — by turns funny and sad, wrenching and moving — truly capture the agony and ecstasy of being 13. Are you like Daniel and looking to add to your reading list, but not sure what to read next? Ask Kidsmomo a question in the form below! This movie is great — dare I say, even wonderful! Although Auggie’s physical appearance in the movie is not nearly as pronounced as described in the book, that really doesn’t matter. That was a big concern of mine beforehand, but as you watch the movie you still see the reactions of everyone around him and you still experience his pain at feeling like an outsider. But even more than that, the movie does a really good job at showing how the people in Auggie’s world are affected, especially his parents and his older sister (Via). Even though she has chapters dedicated to her in the book, I didn’t expect Via’s storyline to be so prominent in the film, and I’m really glad that we get so much time to see things from her perspective. Usually, Kidsmomo gives out smiley faces to the movies that we like. In this case, I think Wonder deserves both a smiley face and a sobbing face — because boy did I cry a bunch during this movie. Thank goodness I planned ahead and brought tissues! So I give Wonder a  and a  — but what about you? If you’ve seen the movie, leave a comment with your thoughts! 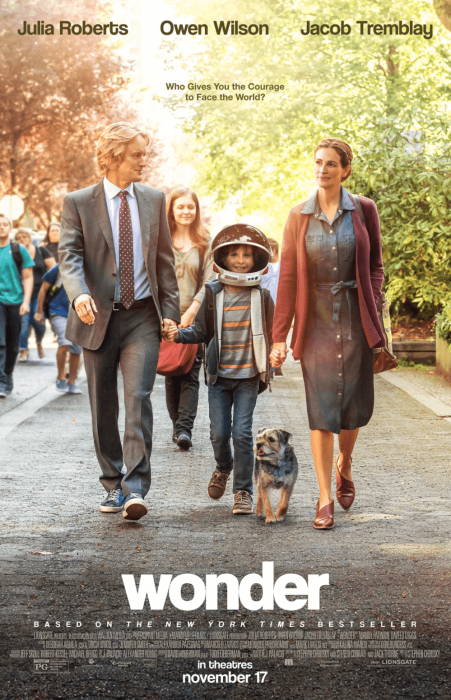 Wonder Movie: In Theaters This Friday! OMG OMG OMG, it’s almost time! 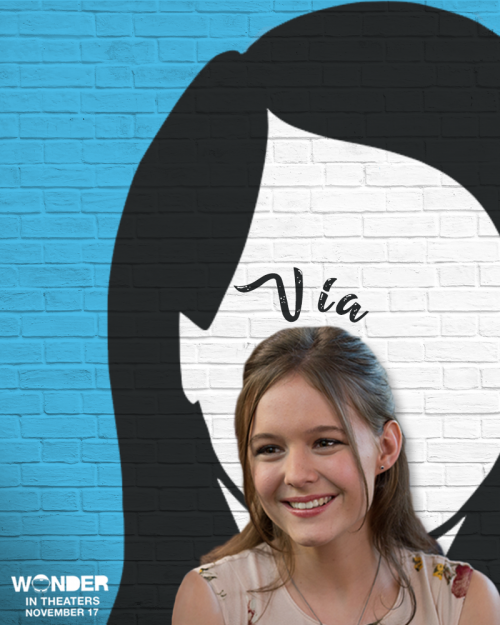 The Wonder movie comes out this Friday! And I’m going to see it on opening night! Yes yes yes yes! YES! Anyone else planning to see the film? I assume the answer is, well, YES — assuming you’re a fan of the original book by R.J Palacio. Are you as excited about the new Wonder movie as I am? Leave a comment about what you expect it to be like! To be honest, Karen cried at that first clip. So please wish the best of luck to the people who are planning to watch this movie with Karen. They’ll need it. Plus, lots of tissues. And maybe hearing aids so they can make out the movie audio over Karen’s loud weeping. A few weeks ago, I shared a list of books full of puzzles and riddles. 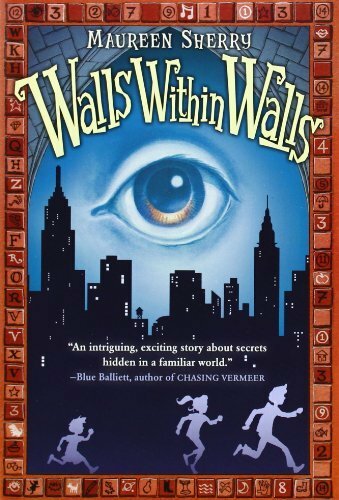 Well, I have a new addition to that list: Walls Within Walls by Maureen Sherry. The mystery begins when the Smithfork family moves from Brooklyn to Manhattan and the three kids (CJ, Brid, and Patrick) discover a strange painting. But it’s not inside their apartment — it’s on an original wall that still stands BEHIND the walls of their new home. Get it? Walls within walls! Soon the siblings are sucked into an intriguing adventure as they try to track down a treasure supposedly hidden by their apartment’s original owner and never found. Along the way, they encounter multiple puzzles and coded messages — not to mention some unusual neighbors and a shadowy man who brings the threat of danger to their quest. As a New Yorker, I especially loved following the Smithforks’ journey around the city during their treasure hunt. Through serendipity, I actually happened to read a scene where they visit the main New York Public Library as I was riding the subway to that very same place! But even if you’ve never been to New York City, I think you’ll still enjoy the very specific setting of the story. For those of you who don’t live here, reading this book will be like taking a brief trip to the city yourself! Obviously, I’d recommend this book to anyone who enjoys books with lots of codes and riddles. But I also suggest the book to fans of history- and art-related mysteries like From the Mixed-Up Files of Mrs. Basil E. Frankweiler, Chasing Vermeer, and Under the Egg. And if you’re still not sure whether this is the book for you, check out these reviews from other Kidsmomo readers like you! Do you have a favorite mystery book to recommend? Share it in the comments below! Karen wouldn’t mind exploring NYC in pursuit of a lost treasure — as long as it’s not too hot. No amount of moolah is worth sweating in the humid New York summer! Recently, I recommended Moo by Sharon Creech, which is about a city family that moves to the country and the kids get involved in caring for the cows on the farm. Well, this is another book about a city family moving to the country and the kid gets involved with caring for the animals on the farm — but this time it’s chickens. 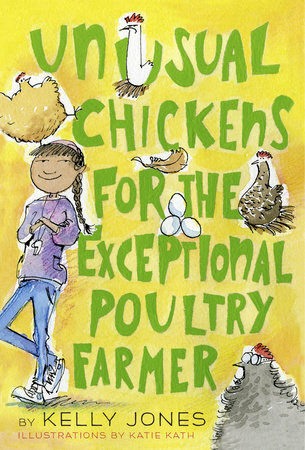 And also, as you might have guessed from the book title, these are not your typical chickens. In Unusual Chickens for the Exceptional Poultry Farmer by Kelly Jones, Sophie and her family inherit her Great-Uncle Jim’s land and everything that goes along with it. At first Sophie doesn’t realize this includes chickens, but then they start showing up one by one. And each chicken exhibits quite a peculiar (and sometimes alarming) skill. Sophie is no chicken expert, especially when it comes to unusual chickens. So she turns to a nearby farm for advice — and what she learns is almost more confusing than the chickens’ behavior! For example, why does the mailman think it’s strange that she keeps sending letters to this particular farm? And why does a neighbor keep sneaking around their property? I don’t want to spoil the mystery that unfolds over the course of this story, so I won’t say any more — but all will be revealed by the end of the book! If you enjoyed Moo, I would definitely recommend this book for a different twist on the city-slicker-in-the-country theme. 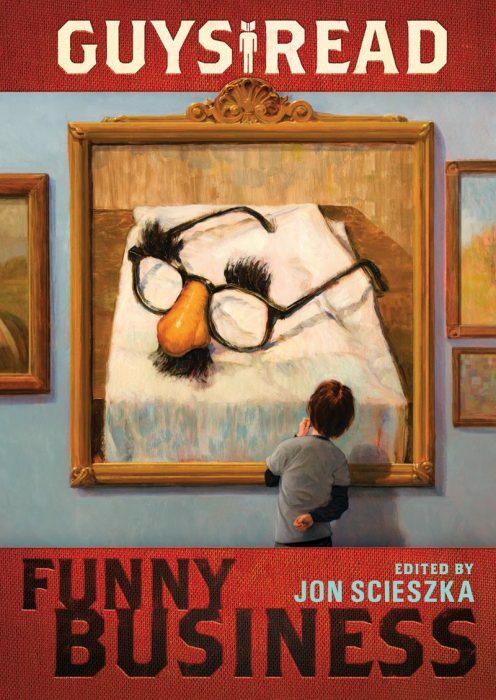 I’d also suggest this book if you like kind of wacky stories like Mr. Chickee’s Funny Money by Christopher Paul Curtis and A Whole Nother Story by Dr. Cuthbert Soup. Do YOU have any pets or know any animals with remarkable skills? Tell us in the comments! Despite wishing for a dog as a kid, Karen has only ever had one pet, and it was a fish. Unsurprisingly, the fish did not have any particular talents worth mentioning.